I knew this already, but we recently had Pancake Week with fourth grade and I remembered that the kids are a little crazy during pancake week. This was the second annual Pancake week. I had this fabulous idea about a year ago that involved pancakes. 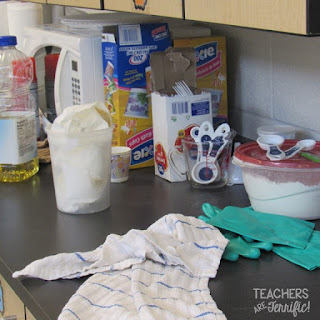 I really wanted the kids to experiment with some kind of food and I thought about cornbread or cupcakes. But, pancakes just seemed easier. So I started working on this to refine it for FOURTH GRADERS! So, here's the short version of this fantastic STEM event. First, you need a bunch of griddles. Last year I had two griddles and it was HARD to get all the experimental pancakes cooked and on the day we did the big pancakes it was really HARD. Like kids getting impatient hard. So, this year I added two more griddles. Here's a great truth for you. If you decide to try this with a bunch of griddles, you might also find that too many griddles will make the breakers click off and the power goes out. With pancakes on the griddles cooking. And kids waiting with forks in their hands. So, I learned the hard way to spread the griddles all over the room and use different circuits instead of overloading one. Which also meant that I easily had 15,000 steps on my FitBit on pancake cooking days. Can kids measure the ingredients? Okay, ready for the testing! The idea was that the kids would use a very small amount of the ingredients and make tiny pancakes to taste. The first batch was missing the baking powder. After the first batch, the kids added different amounts of baking powder trying to determine the ideal measurement. Each batch was mixed, cooked, and tasted. Let's just talk about measuring and kids. The truth is they can do it. They actually know how to use a plastic knife to level the measuring spoon and they do pretty well at this. It just takes about 4 thousand years. So, I learned to place pre-measured amounts of flour into cups they could just dump. The other ingredients are much less messy than the flour! By the way, this pancake recipe had no eggs. Here's where it got interesting. While the first batch (with no baking powder) was cooking not one student said anything. They watched and then tasted it. It was gummy and rubbery and not good. Then we added a small amount of baking powder and tried again. When those little bubbles began to form we had AHA moments. The kids all talked about how those bubbles are always on pancakes and this was when we talked about chemical reactions! Excellent hands-on learning! The right amount of baking powder produced these tiny perfect little pancakes! And, to be honest, the taste is not bad. If you ask the same question of the students they will tell you it is awful. Think about that for a minute.....we don't use syrup. Of course, they think it's awful! What about clean up? Well, we used large measuring cups as our mixing bowls. Each team had a cleanup crew (that rotated) and they rinsed the cups and then used soap to thoroughly scrub them. I inspected these to make sure they were clean before they were used again. On to the next amounts of baking powder. As the amount of this ingredient increased we began to see fluffier and fluffier pancakes that began to resemble biscuits! After experimenting, we found the perfect amounts of all the ingredients! Finally, the kids decided which amount of baking powder was the ideal amount and we multiplied the ingredients by 8. A fabulous math portion of this task, I might add! On the final pancake day, the kids brought toppings and then made their recipes by their own math calculations. They added chocolate chips, whipped topping, strawberries, and syrup and ate until their little tummies were full! They declared these were the best pancakes ever! One of our favorite STEM Challenges! It is a little messy!